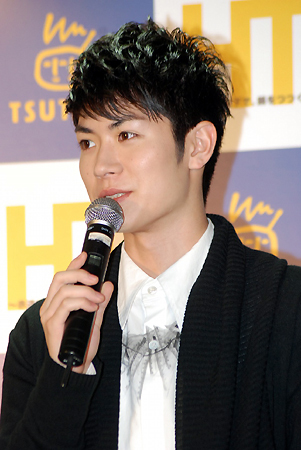 At the event, Miura was asked about his plans for Christmas, and he answered, "We will hold 'SUPER Handsome LIVE 2011' from December 26th ~ 28th, so I think I will be doing practice and rehearsal. �Having fun with rookie actors." �When asked if there was a girl that he would spend Christmas together with he answered, "I want a girlfriend, so very much!" 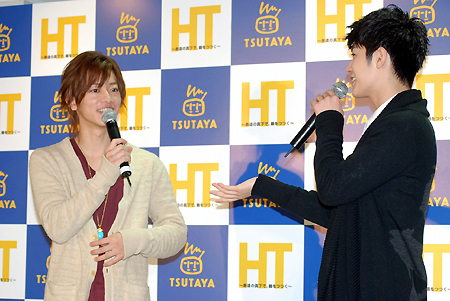 �Sato then gave him advice, "Haruma-san, you are a free person, so it's better to have somebody who can watch over you warmly." This is the second DVD of their funny journey overseas after the first series "HT~N.Y. no Chuushin de, Nabe wo Tsutsuku~ (Eat hot-pot in the center of New York)" (released in�February�2010). The DVD was about the two actors who visited New York to make hot-pot. �For this second series, they traveled to the island of Borneo. �They made an exploration into the tropical rainforest, visited "The Sepilok Orangutan Rehabilitation Centre", and �got all covered with mud at the mud volcano. �The DVD shows the real faces of the two who could not hide their astonishment and excitement at the place they visited for the first time, and one of the highlights is what kind of hot-pot they made there. About the most impressive scene, Miura said, "We were told that we would not be able to see the wild elephants because of the swollen river due to the abnormal weather, but miraculously, we saw them. �I thought that the miracle could happen if we were together." �On the other hand, Sato said, "The contact with orangutans. �They were cute." 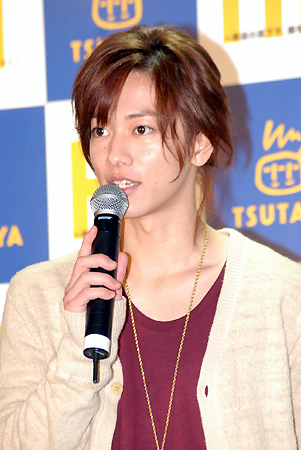 �Miura also revealed, "Takeru-san encountered a creature that he hated so much at the jungle. �He was screaming very loud that I have never heard before." �Then Sato confessed, "It was a hairy caterpillar. �I'm not so good with those creatures... I screamed to let people know there was a hairy caterpillar." 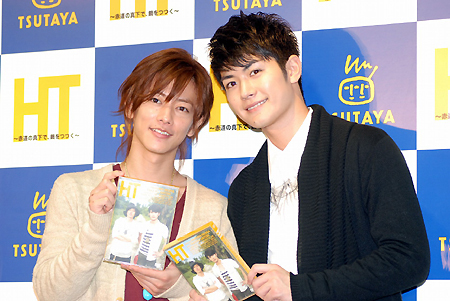 Sato who was asked about the encounter with Miura, said, "I belong to the same agency with Haruma-san, and we had an�opportunity�to go to an amusement park together. �We got closer after co-starring each other in a drama 'Bloody Monday'." �According to Miura, "We just talk about girls almost all the time. �Just kidding!" �They were also asked if there was anything they wanted each other to change, but they showed off their mutual love saying, "There is nothing." (Miura), "As long as he stays as the way he is." (Sato). About the place they would like to go in the future, Miura said, "Personally, I want to go to the Northern Europe, and experience riding a dogsled." �Sato also said with a smile, "I would like to see wild lions and cheetahs in the savanna."